Dreamhowl loves holidays like Halloween where she can turn her closet into a costume bin. 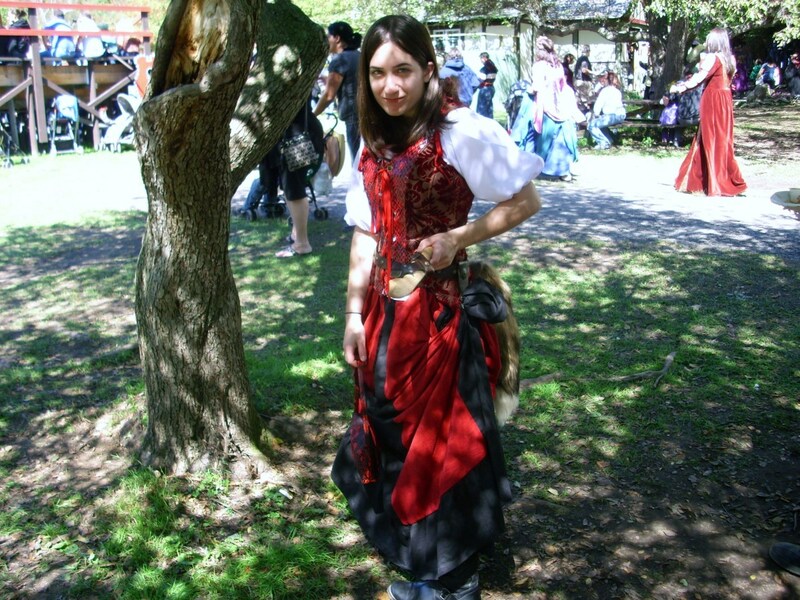 She visits the Renaissance Faire annually! Do you like to dress up on Halloween? I do it every year! In today’s busy world, most of us have very little time to prepare for a costume party or dress up for Halloween. While heading out to your local party shop or superstore is a quick fix for this problem, the usual selection of outfits can get boring after a while; some might enjoy spending one day a year dressing as the same peg-legged pirate, but it isn’t for everyone. What you might not realize is that there are tons of costume opportunities in your very own closet or hiding on the store’s clearance racks. All you need is motivation and a little bit of creativity. 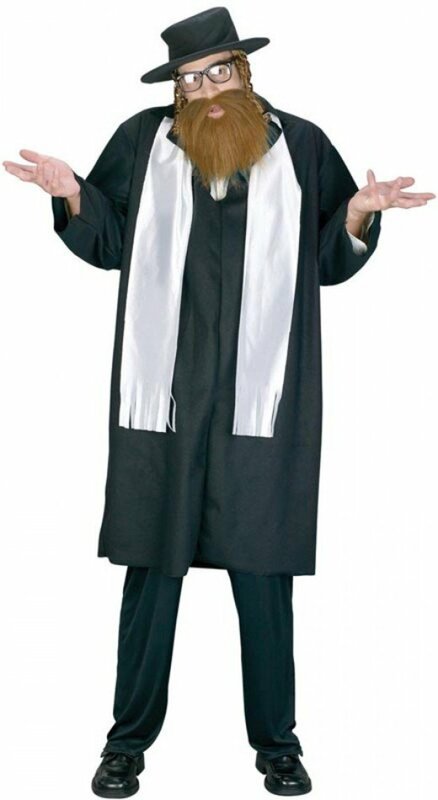 Buying costumes year after year can put strain on your wallet if your budget is tight; depending on the quality; costumes can range from a little as $15 to as much as $50. If you have more money to spend, you can find some as expensive as $100 or more. 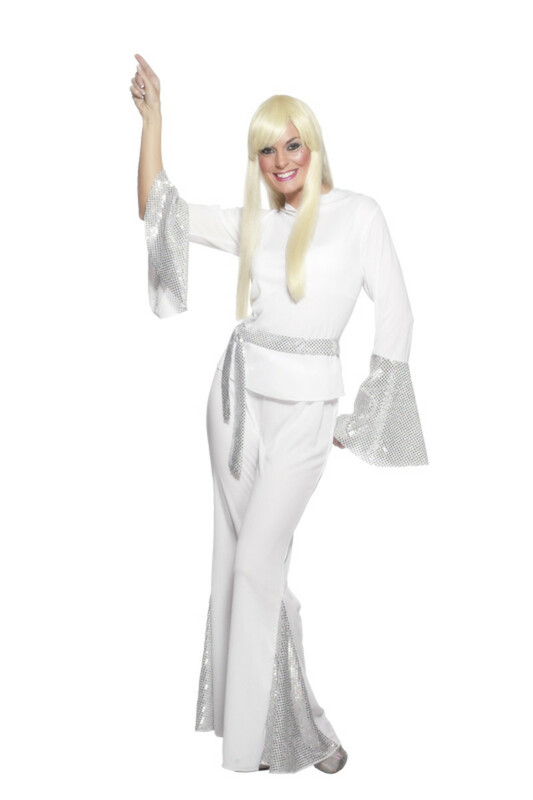 While costume shopping in a specialty store can be fun, the costume themes can be a bit generic after a few years: angels, devils, werewolves, vampires, zombies and superheroes are some of the commonly reproduced costume themes. 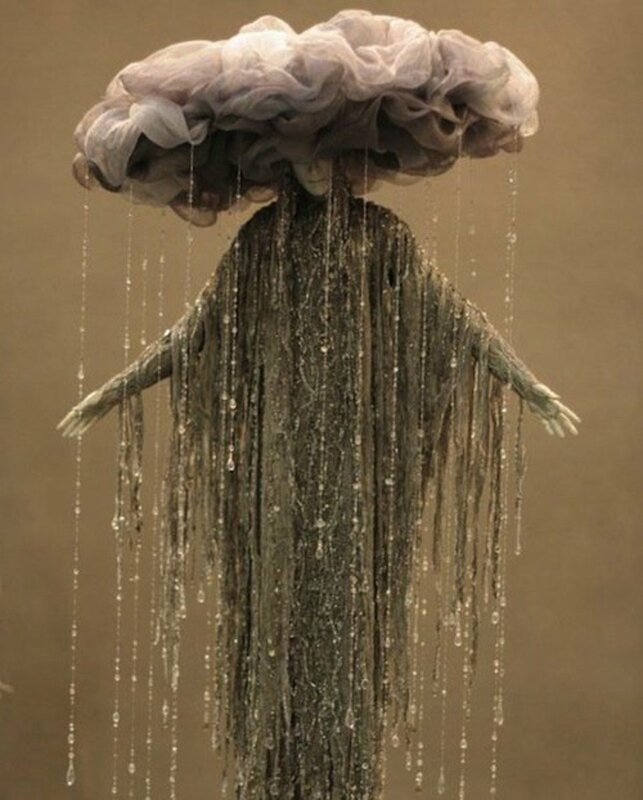 Sometimes a little spark of creativity can help you create your own costume that is more fun, unique and satisfying. Why be the same vampire queen as other’s when you can create your own undead outfit? Many costume ideas don’t require fancy or store-bought clothes, and can be put together from the contents of your own closet. Need to be a pirate at the last minute? Try a solid t-shirt, perhaps brown, and tan capris or pants with a bandana and an eyepatch! It might not have the frills that a store-bought pirate costume might have, but you’d stand out in the crowd (and save money, too). There is something exciting about digging through your closet, looking for the proper clothing and accessories to make your own Halloween costume. If you have an old shirt you don’t wear anymore, you can even cut or tear it up to modify it and liven up your outfit. Zombies and werewolves don’t exactly wear brand new tear-less clothing, after all. Large gaudy necklaces work well with pirate costumes, and tying torn up strips of a white shirt around your arm or leg can help you look like a zombie survivor … or a zombie. The limit is your imagination. One year in high school, two friends decided to have a joint birthday party, and not only that - a costume party. I was lucky enough to be invited, but didn’t remember to look for or purchase a costume. I panicked, because I didn’t want to show up without one. So, a day or so beforehand, I looked in my closet and realized something - I could be a hobbit! The Lord of the Rings movies were currently popular and we all loved them, so what was better? I found a long-sleeved dark brown shirt in my closet along with a pair of dark blue Capri pants. I tucked in the shirt, wore a brown leather belt, and decided on my pair of brown boots (I know, hobbits walk barefoot, but I wasn’t about to). 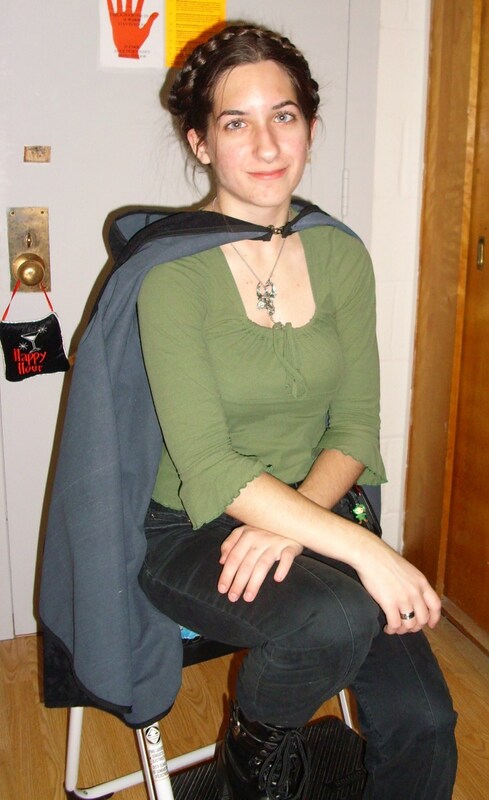 I pinned a green strip of lightweight but tough fabric previously bought at the craft store around my neck to act as a cloak; I didn’t have the time to do any sewing, so I used safety pins. The end result? I looked a lot like a hobbit! I don’t have a picture to share, but it worked out well being entirely from my own closet and belongings. Last minute (as usual), my friend and I decided to dress as pirates to attend the college’s “Alfie” awards, where recognition is given to students and student groups from throughout the year. The award ceremony is themed, and this year it was called “The Alfred Shore”, with the flier showing pictures of people from Snooki to Aquaman. Neither of us had a pre-purchased costume for the event, and decided we were going to use solely what we had in our closets and dressers. I wore a black shirt over a white dress shirt, which was tucked into a pair of loose, khaki yoga pants. I wore a leather belt over the shirt and attached my black belt-pouch pocketbook, and tucked my pants into my pair of black leather boots. 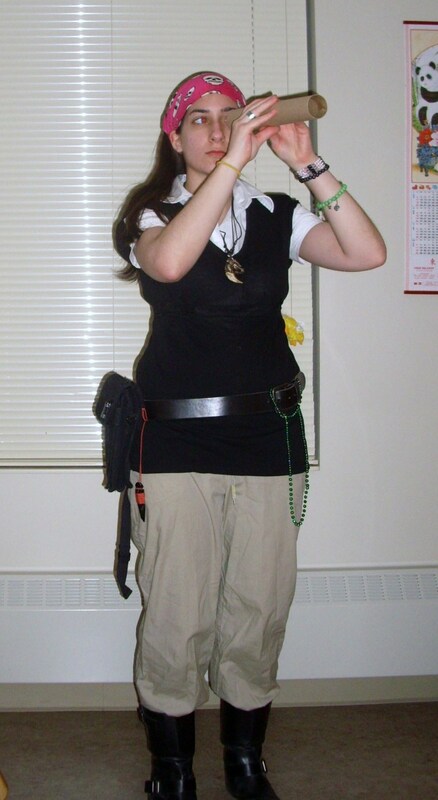 With some added accessories - necklaces, a bandana, bracelets and a paper towel roll (my looking glass), my costume was complete. And, best of all, I didn’t have to buy one thing. While making a costume strictly from the clothes out of your own closet, sometimes you still don’t have anything you need for the outfit you want to put together. In this case, you might be willing to spend some money to get the right look. This could also be necessary if your costume idea isn’t generic or conventional; you might want to look like a certain character from a t.v. show or movie. There are many people on the internet who make a living custom tailoring costumes just like these, but charge high prices for them, upwards of $100 at times. Sometimes it is much simpler - and cheaper - to use your own clothes, materials, and just a few purchases from discount stores and bins. You can find what you need at any store, from Walmart to Goodwill to little odd shops. 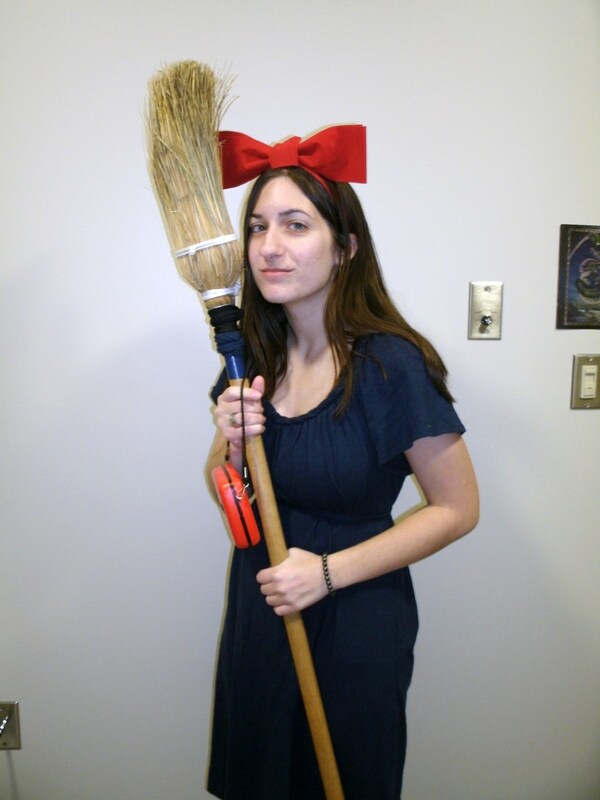 My last year at college, I decided that I wanted to dress up as Kiki from the film Kiki’s Delivery Service for Halloween. My boyfriend was dressing up as his favorite superhero - Captain America - and Kiki was like a heroine to me; she went out into the world not knowing what her strengths as a witch were in a town where nobody knew her, and she found herself. That, and I have always had a thing for witches, and have dressed as one for Halloween when I was younger for many years. However, Kiki was not an outfit sold in normal retail stores - I’m sure I could have found it online, but didn’t want to purchase a costume of her that someone else had made. 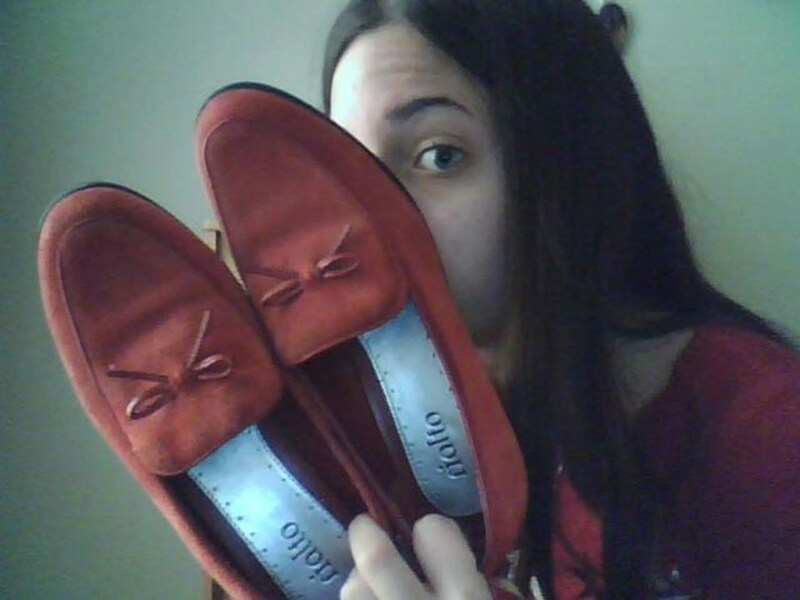 All I needed was a dark blue or black dress, a red bow and red shoes, and a broom. When I check my closet, however, I didn’t have any of these things! I easily found a suitable dress at Walmart for a clearance price once I got to looking around. A matching shirt and skirt could have worked, and was my original Plan B. I then went to the dollar store next door to purchase a large Christmas bow (which I later attached to a headband to stay in place on my head). I spoke to one of my equestrian friends, and she brought me home an old, beaten broom that was going to be thrown out from her barn anyway; don’t worry, I soaked the bristles over and over for days. The shoes were discovered at an op shop in town, luckily, though they weren’t my biggest concern if I couldn’t find them. And, as an added perk, I found a radio at the pharmacy on clearance that I later painted red. In the end, I looked like my favorite witch character, and was content. If you are willing to spend a little extra money to make your costume that much more unique without going over your budget, there are multiple options at your disposal. 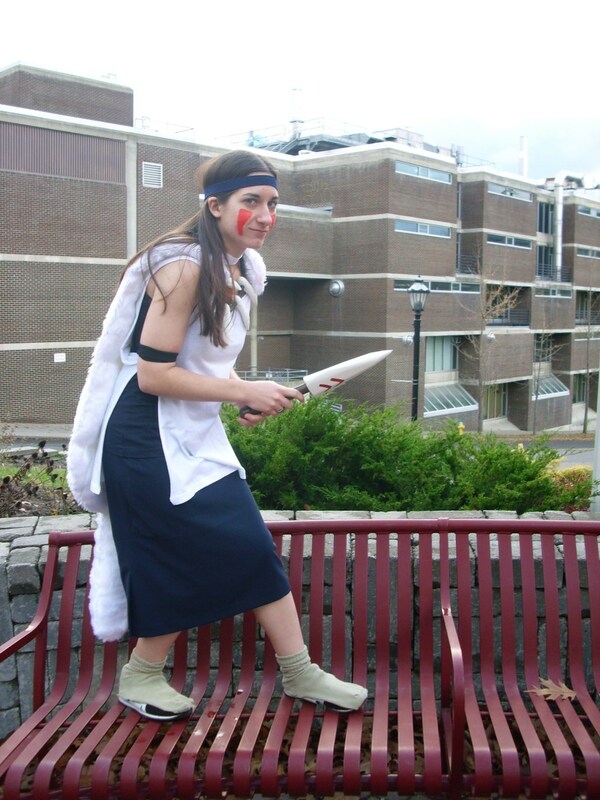 When I decided to dress as San from Princess Mononoke for Halloween one year, I knew the costume would take a little more effort simply due to the white fur cloak that she wears (I left out the mask, due to lack of time and artistic materials). Luckily, I already had a dark blue tank top and skirt to wear, and a white undershirt that I could cut to wear over them. My boyfriend decided he wanted to carve the dagger and necklace out of wood and paint them himself, items that I was willing to leave out if I couldn’t do it myself. He also helped me order some faux fur online, which I then filled with stuffing and sewed up by hand. After some red face paint, my costume was finished. I have seen more well-designed versions of a San costume online, but my meager handmade one still attracted a lot of attention on campus - it even stopped one student in his tracks! Whether you want to make a simple costume straight out of your closet or a more intricate, unique costume, you don’t need to go beyond a small budget - you’d be surprised what you can find on clearance racks, in op shops or at Goodwill. 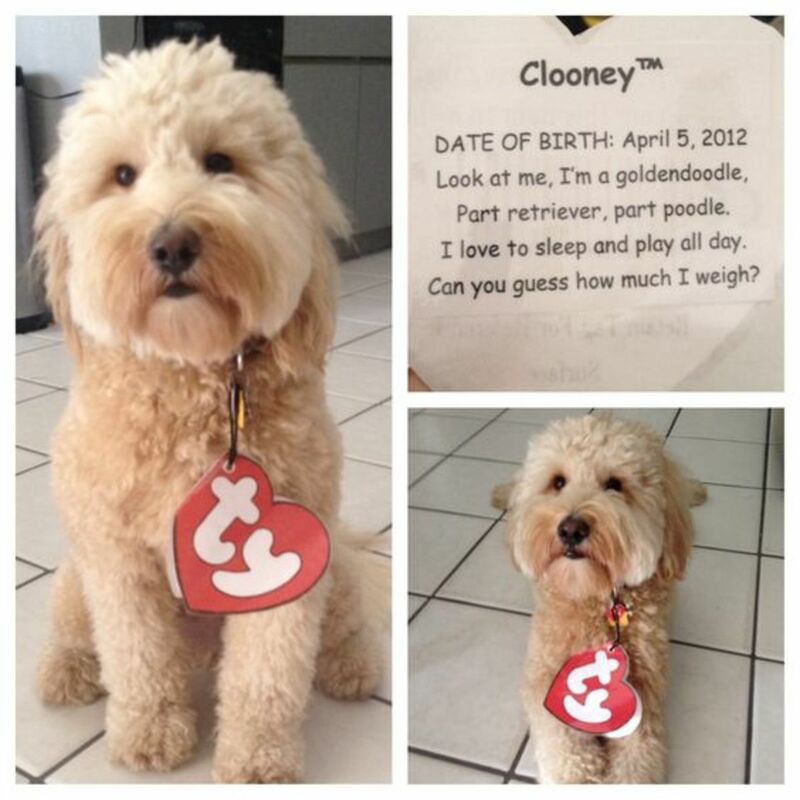 Store Bought Halloween costumes can become redundant after a while. Try your hand at a more creative approach - make this year’s costume out of your own closet and accessories! 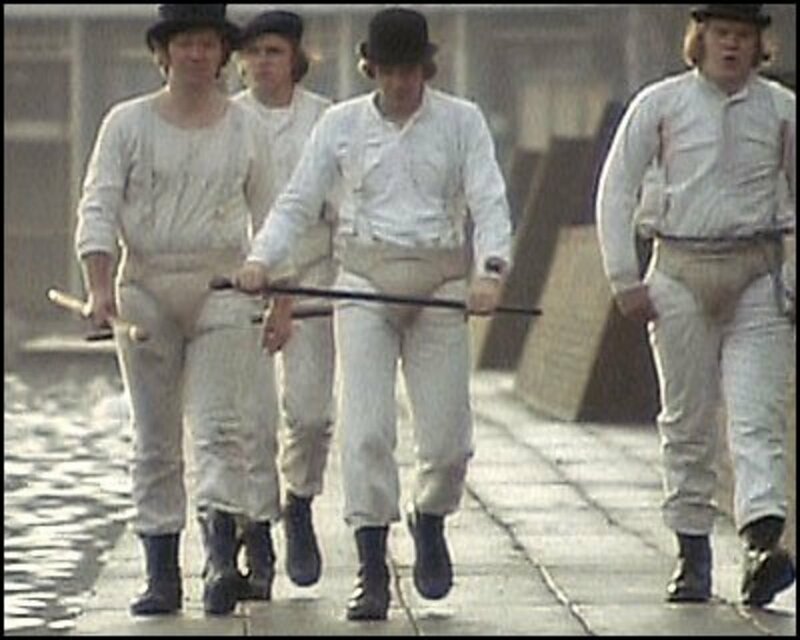 How to Dress Like Alex's Droog Costume in "A Clockwork Orange"
Costume Ideas Starting with the Letter "G"
Thank you so much! I just attended a Halloween party dressed in a closet-made Michonne costume from Walking Dead. The sense of accomplishment you get when you are recognized makes it worth it in the end. Good job! Very creative and thrifty! Last time I went for a costume party, I dressed up simply like a chef from a cut out old shirt in my closet and a chef hat made of paper. Voting up and will share. @grow in charity: Oh, that makes more sense! Embarrassing mis-texts are funny in the end, even if they earn awkward glances. Thank you! I haven't heard of truck or treat but they do have a trunk or treat here (I think because last Halloween it snowed like crazy). In the end it's just more fun to do it yourself. Thank you so much for reading! Every year we dress up as "The Helter Hicks". It is so easy, and fun, we look like hillbillies and also decorate our back of our truck with lots of fun items for people to see during truck or treat. I think it is great that you shared so many neat options to be, and ways to save money doing it. Great read. @billybuc: Thank you! It took a little while to gather all the pictures I had but was relieved I had them as visual examples. I truly appreciate your comment, and will be sure to take you up on that offer if I have any questions in the future! I love your creativity, and the fact that you were willing to model your costumes for us. :) Great job! You are a good writer who is only going to get better; if I can ever be of any help on HubPages, feel free to ask any questions you might have. Thanks for reading! I'm glad you loved it. Thank you, I appreciate it! I will be sure to take a look at yours as well! Great hub...I'm gonna share your link on my Halloween hub: http://hub.me/ae71P. Voted up.